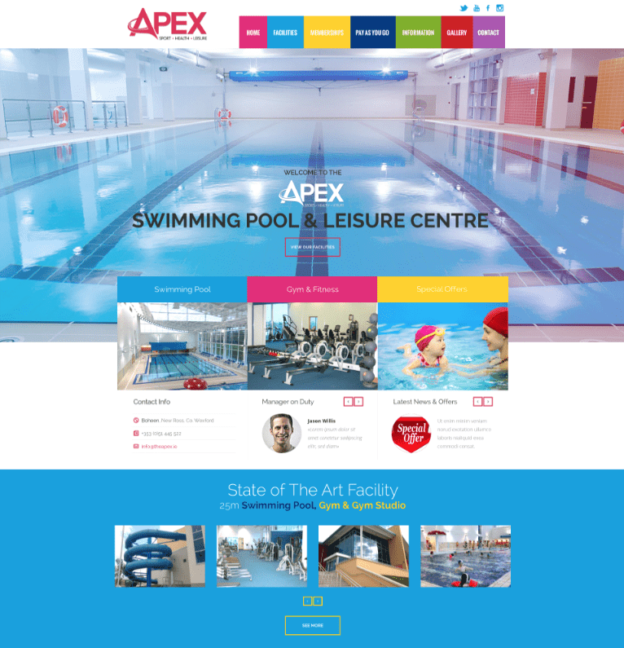 2Cubed worked with New Ross, Co. Wexford leisure centre The Apex to launch their new website in conjuction with their 2015 re-opening. The new website for the Apex is a bright and modern design, fitting in with their own brand identity, with easy-to-navigate pages and a dynamic list of upcoming classes and events on the homepage. This entry was posted on May 27, 2015 by admin.